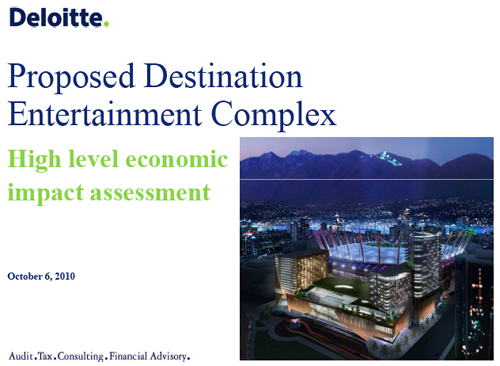 Please feel free to peruse Deloitte’s Economic Report – Entertainment Complex for yourself. Please note that the report states that its projection figures were derived from Paragon Gaming itself. These figures do not appear to have been independently assessed. We welcome any and all expert opinion on this report – either comment below or send us an email. This entry was posted in Edgewater Casino and tagged Deloitte, Edgewater Casino, Paragon Gaming, PavCo, report. Bookmark the permalink.